On Waseda University’s 30th anniversary in October 1913, President Shigenobu Okuma proclaimed its newly adopted Mission Statement. As the fundamental statement of its educational policy, the mission was drafted by Sanae Takata, Shoyo Tsubouchi, Kenkichi Ichijima, Kazutami Ukita, Yasukuni Matsudaira and their colleagues, and approved by Okuma before its presentation at the anniversary celebration. In 1937 a monument inscribed with the mission statement, in calligraphy by Hisoka Maejima, was installed near the main gate. Waseda University holds as its founding principles the preservation of the independence of scholarship, the promotion of the practical application of scholarship, and the fostering of good citizens. 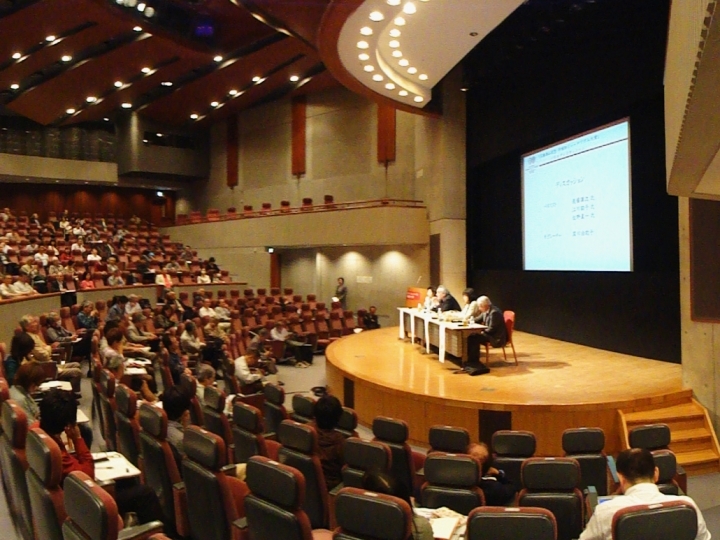 Holding the independence of scholarship as a central principle, Waseda University pledges to contribute to the scholarship of the world by regarding freedom of research as essential and devoting itself constantly to original research. 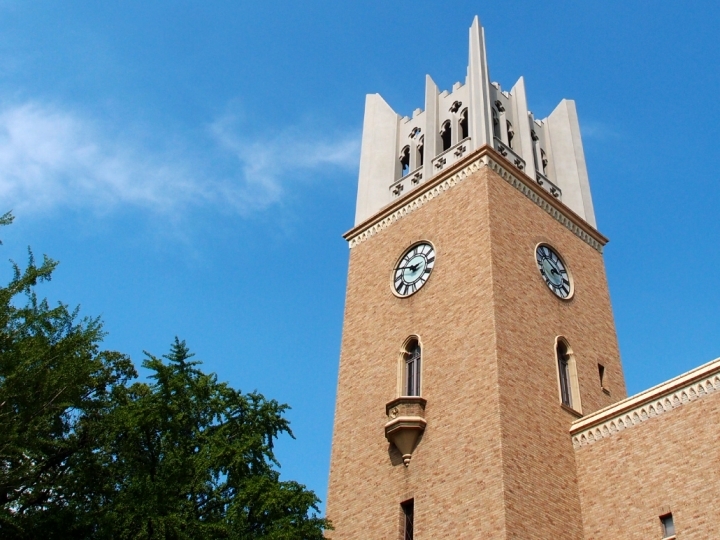 Holding the practical application of scholarship as a central principle, Waseda University pledges to contribute to the progress of the times by establishing a path for the practical use of scholarship as well as pursuing theoretical research for its own sake. Holding the fostering of good citizens as a central principle, Waseda University pledges to cultivate people of character who can respect individuality, develop themselves and their families, benefit the nation and society, and be active in the world at large. Independence of Learning is tightly connected with the outsider’s spirit and a critical mind. 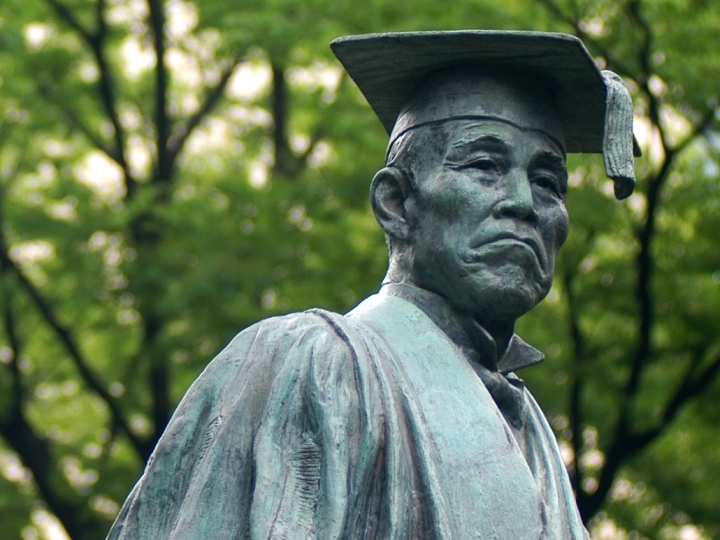 Waseda University has promoted scientific education and research without bending to authority or temporal fashion, in order to produce independent modern citizens. In the historical context, academic enterprises had to be useful for construction of the modern nation-state of Japan which was underway at that time. So the founding principle of Practical Utilization of Knowledge focuses not on shallow pragmatism but the spirit of progressivism. The University was established with a focus on educating the common people, and cultivating Good Citizenship is one of the three founding principles. In today’s context of globalization it also means Good Global Citizenship. The founding principles and the Waseda Spirit which has grown from them are our legacy and the culture which we embrace.